The Tax Implications of Becoming a Landlord: Is It Worth the Deal? Real estate rental investments can yield a high return on investment (ROI), which is why many people look to it as a viable alternative investment. When the right factors converge, like a hot rental market, a good property purchase, landlord business savvy, rentals can be lucrative. One of the most important factors for ROI, though, is the current tax law and the benefits it offers you as a landlord. Let’s dig in to see if the current tax law structure is helping or hindering landlords. In the recent past, landlords have benefitted from being classed in a category that can take some of the most tax deductions of any tax category. How has this changed with the Tax Cuts and Jobs Act (TCJA)? The net benefit to landlords has gone up! Many landlord deductions remain in place, and the majority of changes increase landlord benefits. What remains the same? Key deductions for landlords, like mortgage interest, property depreciation, property and state income tax, maintenance and supplies, and travel expenses, essentially remain the same. Other benefits will also remain in place, like no self-employment taxes and the 1031 property exchange law, which allows you to sell an old property and buy a new one of equal or greater value to defer capital gains taxes. Pass-through entities are very popular among small business owners, including landlords, so if you have a business structure, it’s likely a pass-through entity. These entities avoid double taxation (which other business structures experience) by sending business profits to individual tax returns for taxation. Not only do the business profits of these entities get taxed only once, they now qualify for a 20% tax break. This means if you own a sole proprietorship, partnership, limited partnership, limited liability company, or S corporation, you will pay taxes at your individual income tax rate on only 80% of your business profit, whether you itemize or not. In order to claim the full benefit of this, however, income from all your income sources must be below $315,000, if married filing jointly, and $157,500, if filing singly. The benefit gradually declines if you make more than this. It completely phases out at $415,000 for married filing jointly and $207,500 for filing singly. 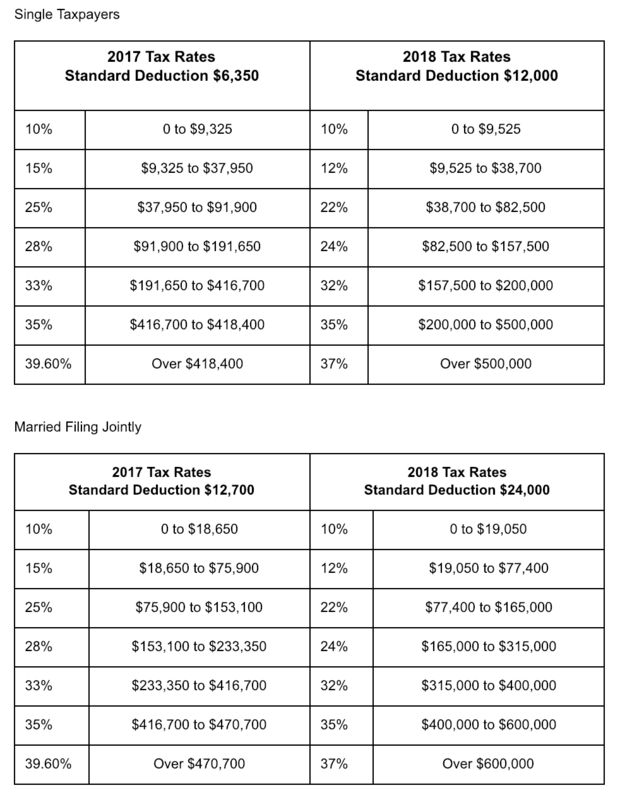 Even with an income above these ceilings, you might be able to claim up to a 20% tax break if you meet certain criteria, and it’s worth talking to a tax professional to see if this unique situation applies to you. 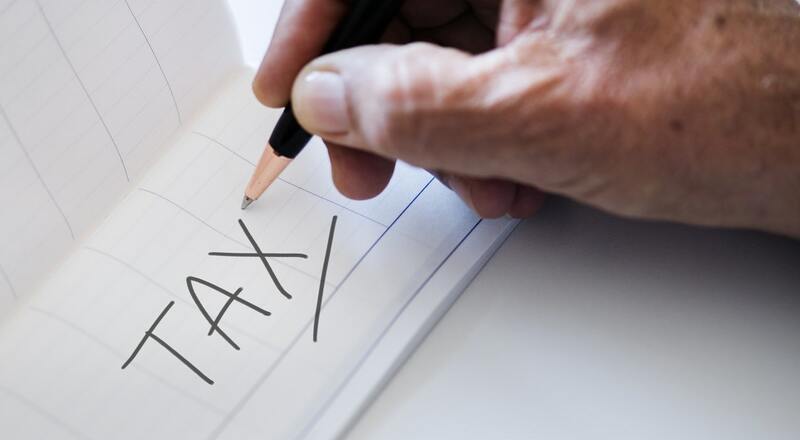 Since most residential real estate owners pay taxes on their business income using their individual tax rates, individual tax brackets make a huge difference. The TCJA has lowered these. Take a look at the tables below to compare the prior tax rates with the current tax rates, helping you gain a better idea of how landlords benefit. The new tax rates and brackets clearly favor pass-through entities. Section 179 allows landlords to fully deduct qualifying equipment in the year the business purchases it and puts it into use. The ceiling for these deductions was $500,000 in 2017, but the new law raised it to $1,000,000. The maximum amount that companies can spend on these purchases before this incentive starts phasing out is $2.5 million. Additionally, landlords can now deduct personal property they’ve placed in rental units, which the law didn’t allow before. The bottomline is, if you have a hot rental market, love to DIY, and have a penchant for customer service, now may be the best time to become a landlord. So, yes, from a tax perspective, rental real estate really is worth the deal. Many rules have exceptions, and these tax laws are no different. If you have additional questions about how the TCJA tax law and other concepts here apply to you, be sure to reach out to a tax professional.